Looking for the fastest car known to man and go for a rip? Yeah, aren’t we all. The desire to go fast is something burning deep down inside every car buff. Whether you use the power you have to its full capacity is another story. Supercars have always raced (pardon the pun) for the title of fastest car in the world. It takes more than just horsepower to knock off the record-holder, though. It takes control and steering, aerodynamics, and lightweight manufacturing. Most of all, it takes big, big bucks. These are the 10 of the fastest production cars. Beware, you may not recognize all the names on this list. If the price tags make you queasy, you might want to check out the best sports cars under $100K. Still out of your budget? Consider the most affordable sports cars. Who knew the Danish could have a vehicle in the running for fastest car? The Zenvo ST1 is said to be completely hand-built with the exception of a five-axis CNC machine. It’s incredibly attractive as well, although only 15 have been built to this point. The Zenvo ST1 a rear-wheel-drive supercar with an insane amount of power. Its 6.8-liter V8 is equipped with a supercharger and a turbocharger, creating 1,104 hp and 1,054 lb-ft of torque. If you can get this car to hook up, it screams to an electronically limited top speed of 233 miles per hour. It’s a paltry $1.8 million if you can get your hands on one. Getting back to supercars that aren’t everyone’s cup of tea in the looks department, we have the Pagani Huayra BC. The Italian-made car has a limited production run because of their engine partnership with Mercedes-AMG. Only 100 cars were built. The Huayra BC is essentially the same car as the Huayra but with a tuned-up version of the powerplant under the hood. 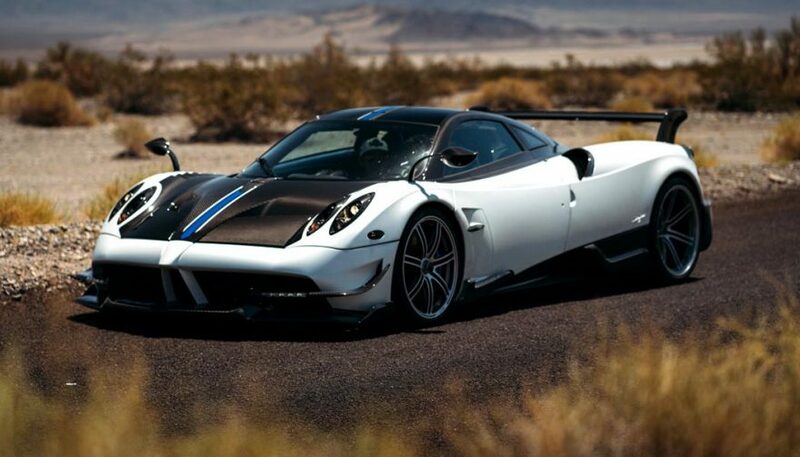 Pagani Huayra BC makes 789 hp from its 6-liter twin-turbo V8, and its top speed is 238 miles per hour. While that’s a feat not many production cars can claim, there’s another very impressive statistic. The Pagani Huayra can manage 1.66g in corners – obviously when it’s equipped with the right tires from Pirelli. Around $2.5 million will buy you one. It’s almost a classic car by this time, but it’s still on the leaderboard for fastest car of 2018. The McLaren F1 made its name on the racetrack predominantly, but the road cars are just as wild. With a three-seat mid-driver configuration, it’s an oddball for the street. 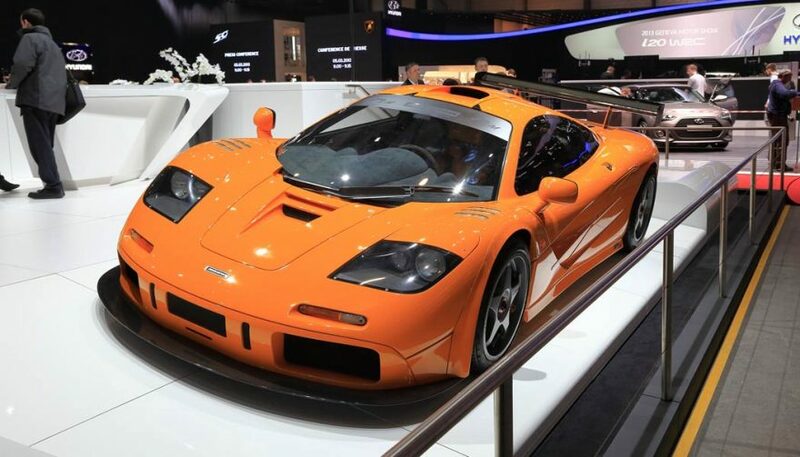 The McLaren F1 has a carbon fiber body and a 6.1-liter V12 that is – get this – naturally-aspirated. The street version has 618 hp and pulls the lightweight car to a top speed of 241 miles per hour. The sky is the limit for how much you’ll have to pay for one of these rare cars. 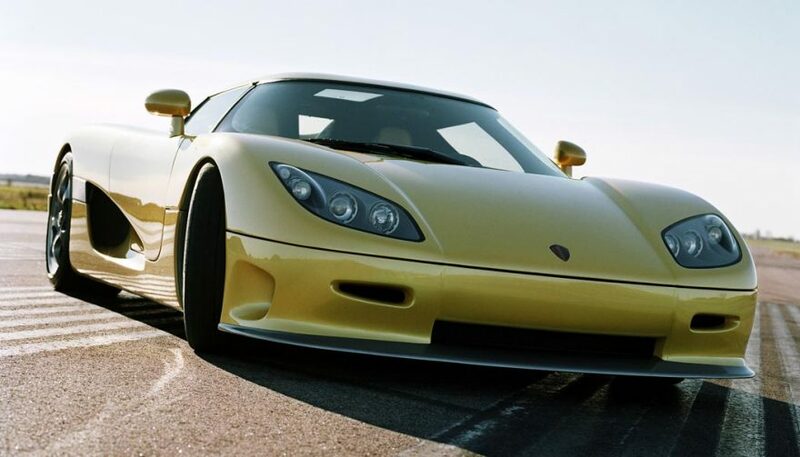 Only 14 Koenigsegg CCR supercars were built between 2004 and 2006, and at least one of them set a speed record. The CCR is a racecar built for the street, essentially, with few electronics or driver aids built in. And it actually looks half-decent too, unlike other supercars. Koenigsegg’s own 4.7-liter V8 is in the CCR with twin superchargers. It makes 806 hp and is said to be capable of 245 miles per hour. It briefly held the world’s fastest car title at 241 miles per hour before Bugatti knocked it off. A Koenigsegg CCR cost $650,000 new, but will now run well over $1 million. While not exactly the most modern in appearance, the Saleen S7 is an engineering marvel. The scoops and ducts incorporated into its carbon fiber body are integral for airflow and generate as much downforce as the car’s curb weight. 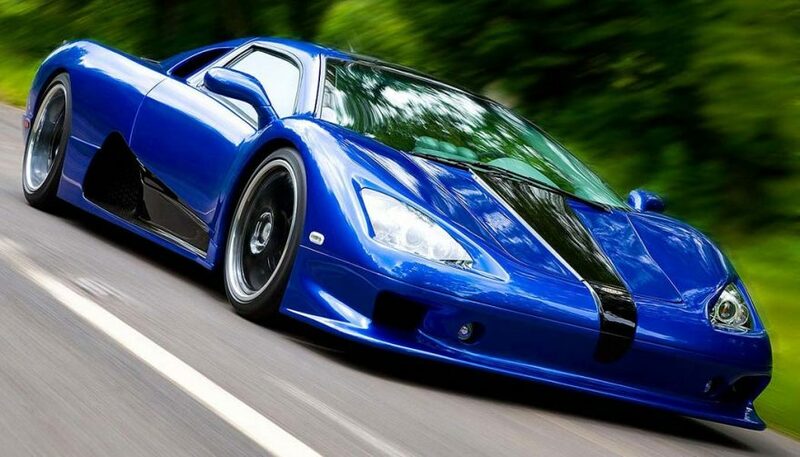 The Saleen S7 Twin Turbo has a total of 750 hp, accomplishing a top speed of 248 miles per hour. A Competition Package upgrades the horsepower to 1,000 ponies along with suspension and body mods, but there’s no update on the top speed. 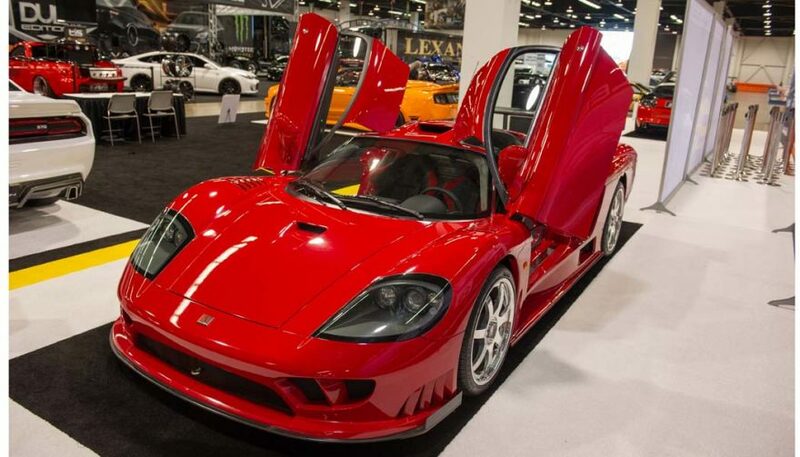 The Saleen S7 Twin Turbo will cost much more than its original sticker price of $580,000 if you can find one. Heard of Carroll Shelby, creator of the Shelby Cobra? This car has nothing to do with him, even though it’s from Shelby SuperCars. 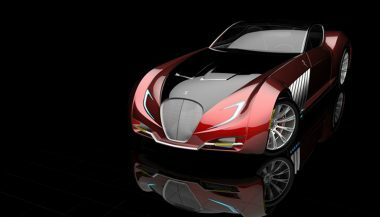 This extremely limited run of supercars is designed as a fast car devoid of electronic driver’s aids. 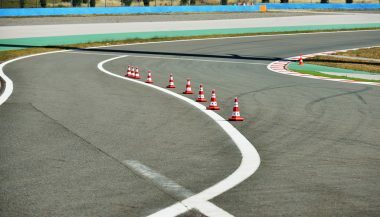 There are no anti-lock brakes or traction control; it’s all in the hands of the driver, so hopefully they are capable. The engine is a 6.3-liter V8 with twin turbochargers under the hood. 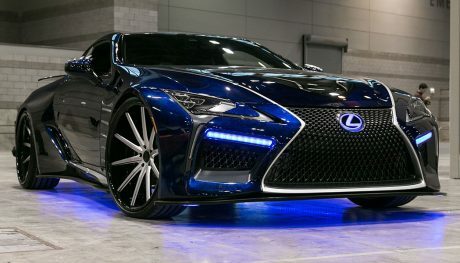 It spools up a whopping 1,287 hp, and its top speed is 256 miles per hour. You’ll spend $740,000 to buy one, and you’d better invest that much in driving lessons as well. The Veyron Super Sport is a notorious hypercar. It holds the title of world’s fastest production car in the Guinness Book of World Records, after dethroning the SSC Ultimate Aero. There are, however, still two faster cars. The Veyron also happens to be one of the best-looking hypercars in the world by those whose opinion counts (including mine). For its $1.7 million dollar price tag, it better be. 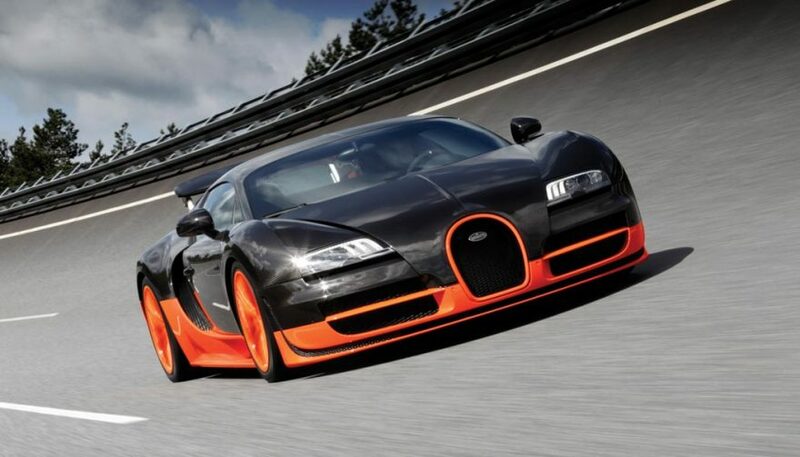 The quad-turbo W16 engine pushes 1,200 hp, an increase of 200 ponies over the non-Super Sport Veyron. Its top speed is also an insane 268 miles per hour. For the price of the car, I hope it comes with a change of underwear. 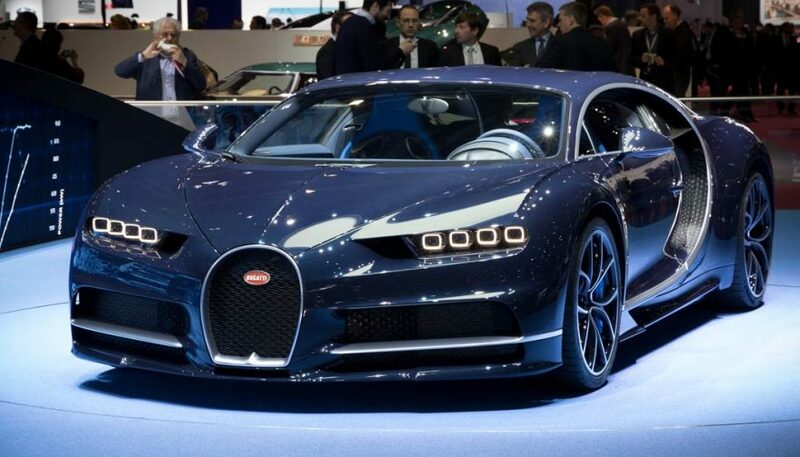 The Chiron is Bugatti’s effort to one-up itself. 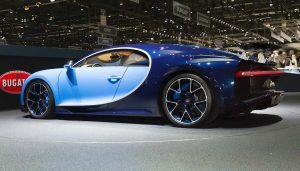 The Chiron is setting its aim for fastest car once again. Improvements are visible everywhere in the Chiron, from an upgraded sound system to a speed-adaptive instrument cluster. It’s a pinnacle of luxury while you’re driving at excessive speeds. Driver assistance systems keep the car fully controllable at any speed. It gets 261 miles per hour – so far – with 1,500 hp. Only 500 first-gen Chirons were built. It now has a $2.6 million price tag. All very important stats that will be even more impressive if they can retake the top spot. Swedish supercar maker Koenigsegg is already on the list with the CCR, but the offbeat car company has made one that’s even faster. It’s also the fastest car that’s actually had that top speed tested. 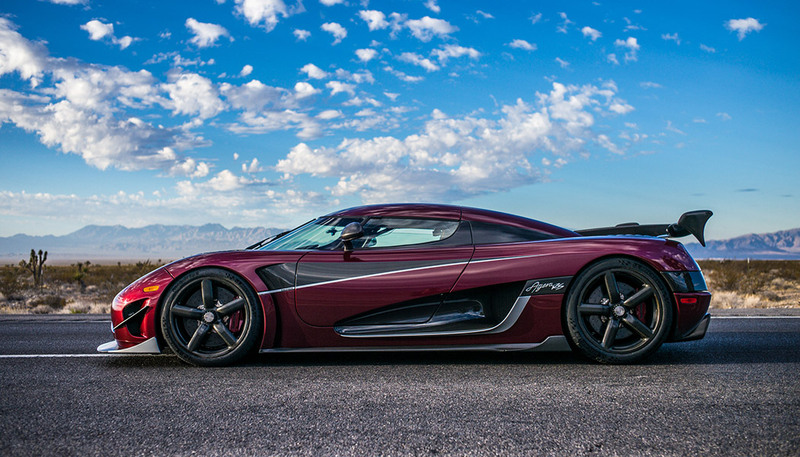 Koenigsegg had 11-miles of Nevada Route 160 closed off so that the company could make a top-speed run. Because even when you’re topping 1,000 hp it takes a long way to build up that much speed. The 1,160 hp rocketship managed 284.55 mph on the first run and 271.19 on the way back. That gives it a combined average of 277.9 mph. Stunningly fast on a two-lane public road. 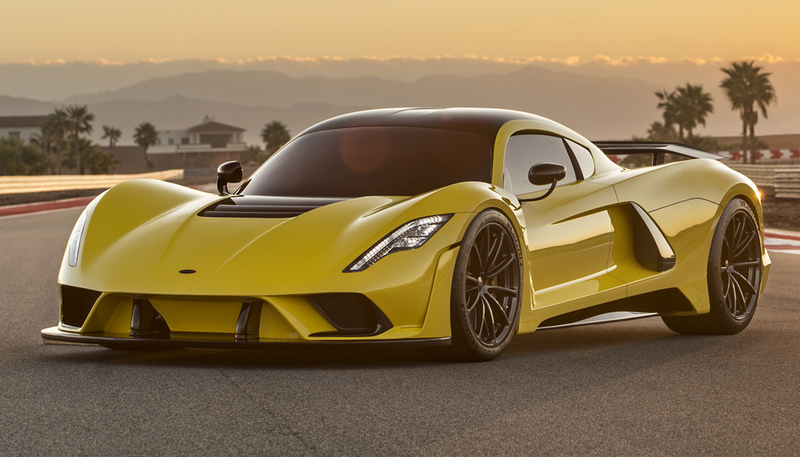 The Hennessey F5 Venom is the fastest car in the world. It’s a hand-built, speed-focused, absolutely ridiculously speed demon that has yet to be bested. It’s the first car that the automaker has built and designed in-house, from the ground up. The engine will be a massive 7.4L twin-turbo V8 that the company says will be able to produce somewhere in the neighborhood of 1,600 hp. With active aerodynamics and a carbon-fibre construction, Hennessey was aiming to hit 301 mph with the car. That’s since changed, and now the Texas tuner says he wants the car to hit 500 km/h. That’s 311 mph. It’s tough to say which will be a tougher challenge. Hitting that speed or finding enough road to make the attempt. 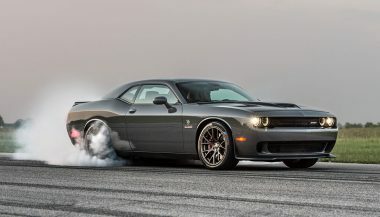 Recently Hennessey tweaked the Hellcat HPE1000 engine to push a modified Dodge Challenger past the 1,000 horsepower mark. Will the Godsil Manhattan Keep the American V16 Dream Alive? The forthcoming Godsil Manhattan would be a revival of the American V16 engine. Oh, and it also runs on an alternative fuel, natural gas.